Safely and effectively warns drivers of restricted height conditions ahead. 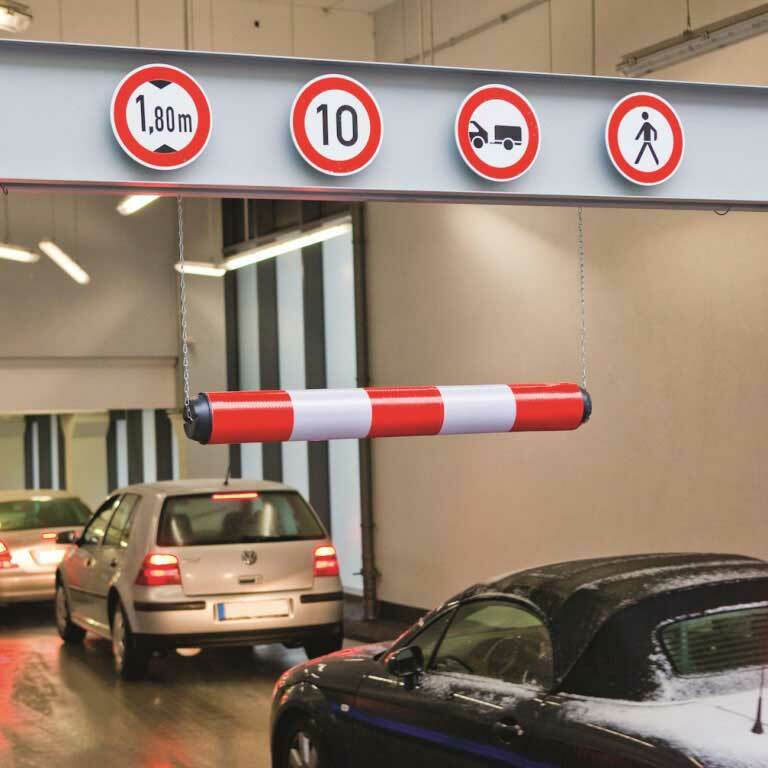 TRAFFIC-LINE height restrictor bar in plastic including 2 x 2m of suspension chain is designed for use in parking garages with a low vehicle clearance, as well as low bridges and tunnel entrances. The red and white stripes are visible in both daytime and night-time conditions, minimising the possibility of having a large lorry getting caught. Because it is visible from a considerable distance away, drivers will have plenty of time to prepare themselves for the low clearance. 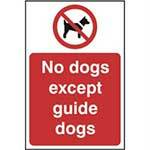 It is easy to install and will be able to be used to warn drivers straight away. There are no sharp edges, which helps minimise the risk of damage in the event of an impact by a tall vehicle. Its suspension chains measure 2m, providing plenty of visibility with the risk of impact. When used in conjunction with other safety signs, including the number of metres allowed for clearance, it helps contribute to a much safer garage. This not only increases the safety level for drivers, but also for pedestrians. Any parking garage that is focused on driver safety will benefit from use of these types of restrictors. The reasonable cost and easy installation make them worth the time and money. 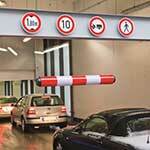 Parking garage owners and managers will definitely benefit from these and other safety tools.